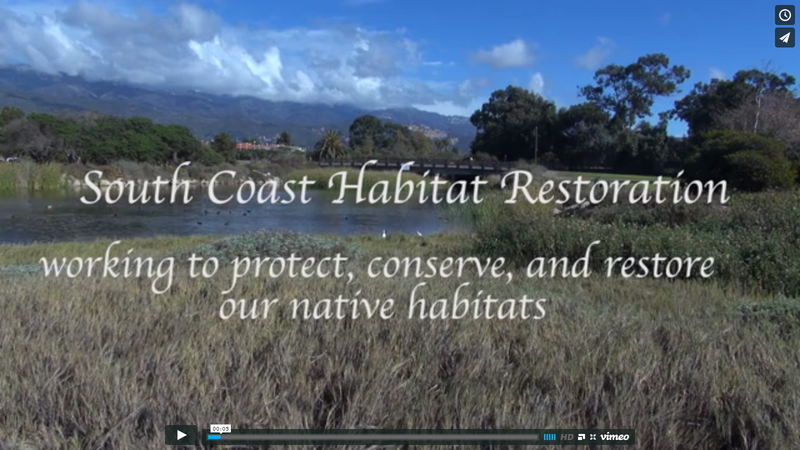 Funders: California Department of Fish and Wildlife, US Fish and Wildlife Service, and National Oceanic Atmospheric Administration: Community-based Restoration Program via a Regional partnership between the NOAA Restoration Center and the California Coastal Conservancy. The Pinkham Property Barrier Removal project is now complete. Construction begin in the Fall of 2013 with the new bridge installed at the completion of construction in early December 2013. Erosion control measures and native plants were installed with the help of the California Conservation Corps shortly after construction was complete. The fish passage restoration project along Carpinteria Creek, was one of the last barriers in the watershed. The project replaced an undersized rail car bridge with a new wider and taller bridge. It also removed 90 feet of concreted stream channel and banks. Now that the project is complete in combination with the recently completed County Flood Control Districts removal of the Lillingston Debris Basin, steelhead trout now have access to an additional 1.09 miles of upstream habitat. 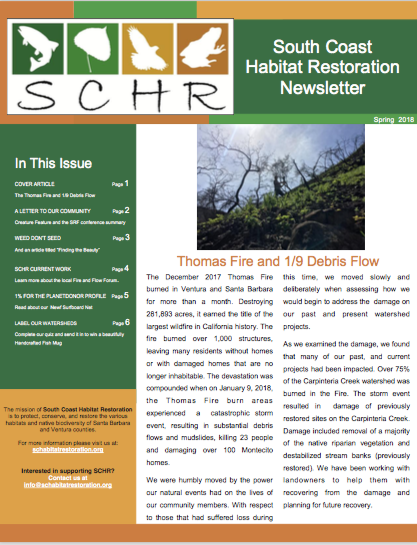 SCHR is currently working with the last remaining major barrier located downstream of the Pinkham crossing and hopes to have full access restored for steelhead trout within the Carpinteria Creek Watershed in the next few years.